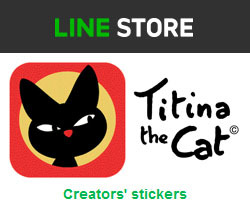 My new online store where you can find homemade jewels, charms, magnets, high quality prints, cards and even customised products. Just go and check it out! The exhibition, will be on display at Hung Quang University Art Center 弘光科技大學藝術中心 from October 22, until November 23. Grand opening on Thursday October 25. Original painting: "Points of View" - "觀點"
at BAODAO COFFEE for my ART EXHIBITION TEA PARTY? YES, THANK YOU! My works, tea and coffee, friends and myself, too. An event co-hosted by I-Te Jewellery. 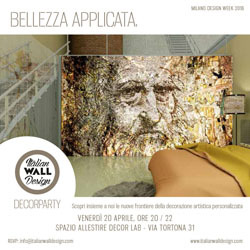 During Milan's Design Week, Italian Wall Design has organised the "IWD DECORPARTY" at prestigious Decorlab in via Tortona, 31. 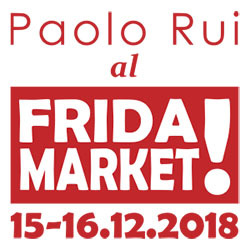 La mostra inaugura giovedi' 28 febbraio 2019 alle 18:00 al BASE di Milano. Grazie a Marcella Peluffo Illustrator Visual designer, all'Associazione Autori di Immagini e agli altri organizzatori dell'evento. "Pop Art Protest - Bansky Vs. Banksy"
Collective exhibition with post-POP, retro-POP, super-POP, double POP artists Andrea Cocchiara, Andrea Polenghi, Caro, Carlo Cecaro, Johnny Frog, Linaldo Cardoso, Marco Tansini, Paolo Rui, Roberta Andressi, Robotomo, Sigis Vinylism, Sul Filo dell'Arte. 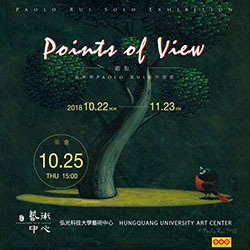 "Points of View" - "觀點"
My new exhibition "Points of View - 觀 點"
A well-thought initiative created and designed by the famous Italian illustrator Costanza Favero. 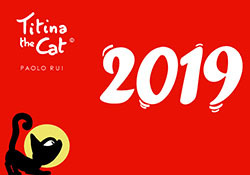 It’s an original view on the city of Milan through the eyes of artists including Cinzia Battistel, Manuela Bertoli, Chiara Bigatti, Julia Binfield, Franco Brambilla, Conc, Paolo D'Altan, Lorenzo Donati, Costanza Favero, Paola Formica, Gabriella Fratter, Beppe Giacobbe, Gabriella Giandelli, Marcella Peluffo, Guido Rosa, Andrea Rui, Paolo Rui, Alessandra Scandella, Franco Sinatra, Renato Sorrentino, Michele Tranquillini, Serena Viola. An entertaining workshop for professional artists, amateurs, kids, seniors, families... anyone! 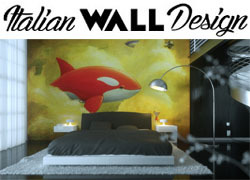 We will play together with the concept of creation, talking about art, inspiration and a happy life. Bring your pens, markers, pastels and colours, because we will put theory into practice! 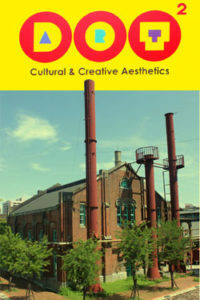 Arts Dot 2 is a brilliant idea of Taiwan’s artist Mr.Hung Yi. In late 2015 he inaugurated a showroom in an old beer factory’s building in Taichung, Taiwan. 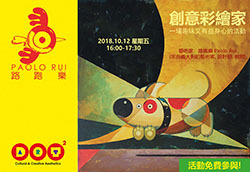 It now displays his works, mine and those by famous Taiwanese artists E. Wang, Lijun Yang, Wang Chengen, Lin Shukai, Keyan Ru, Liu Yilang, Hòu Gōng Yù Jiàng, Zhang Hemin, Yǎn Chóng Jìhuà, Chen Taihua, Huangbai Wei, Mr. Black chicken, Lián Jiànxìng, Liuzhe Rong and Zheng Dūnhòu (大腸王、李俊陽、汪承恩、林書楷、洪易、柯燕茹、柳依蘭、厚工育匠、張和民、眼蟲計劃、陳泰樺、黃柏維、黑雞先生、路跑樂、連建興、劉哲榮、鄭敦厚.